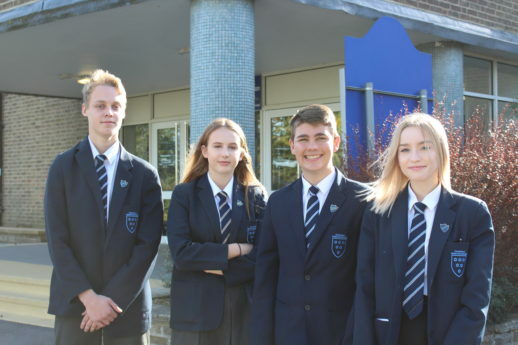 Following an exciting campaign season the Head Boy & Girl Elections have taken place at TMWS and we are now able to announce the head boy and girl team for 2018-2019. Pictured are Head Boy, Ben Clark Deputy Head Boy Jake Norman. Head Girl Lydia Melbourne and Deputy Head Girl Libby Ainley.